When it comes to their movies and television shows, Marvel asks us for a lot of patience. Team-ups are at the core of the Marvel Universe, and each time Marvel Studios wants to put one together, it wants to take the time to introduce us to each character. 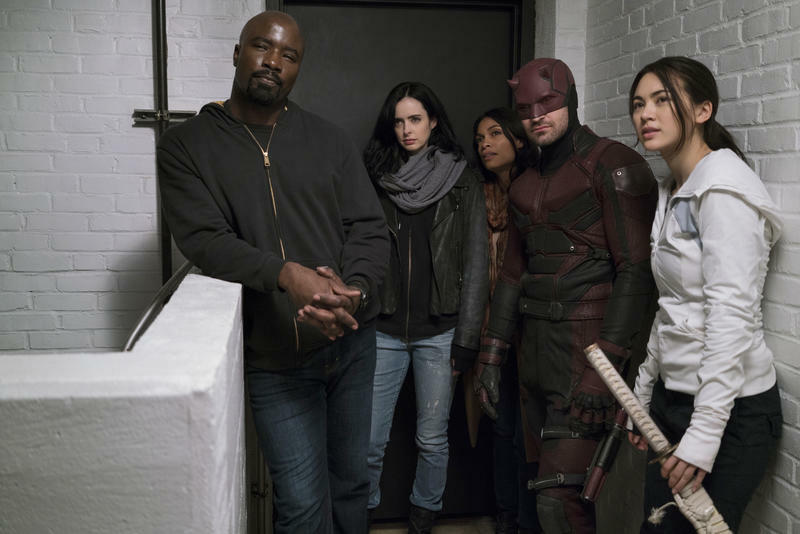 With the latest show from Marvel, The Defenders, Marvel's asking us to watch 65 hours of television before we dive in. That's asking a lot of us. That means The Defenders has to make all that time invested worth our while. 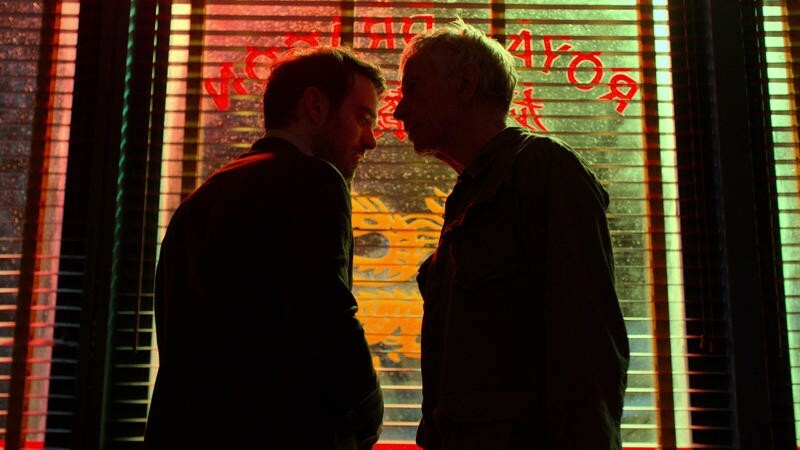 Running up to this show, we've had two solid seasons of Daredevil, one excellent season of Jessica Jones, a rocky season of Luke Cage, and a nigh-unwatchable season of Iron Fist. 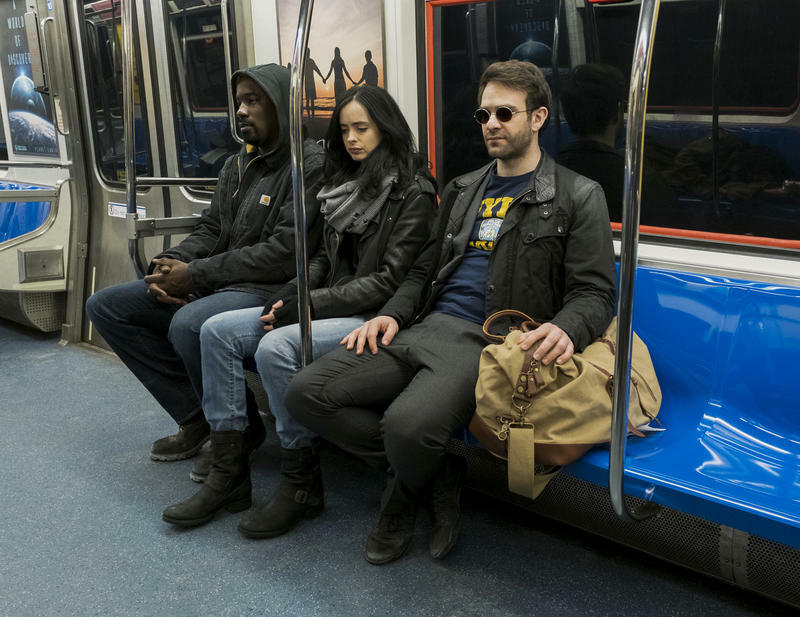 With The Defenders, we're given a story that doubles down on some of these shows' worst tendencies while short-changing some of the best characters. 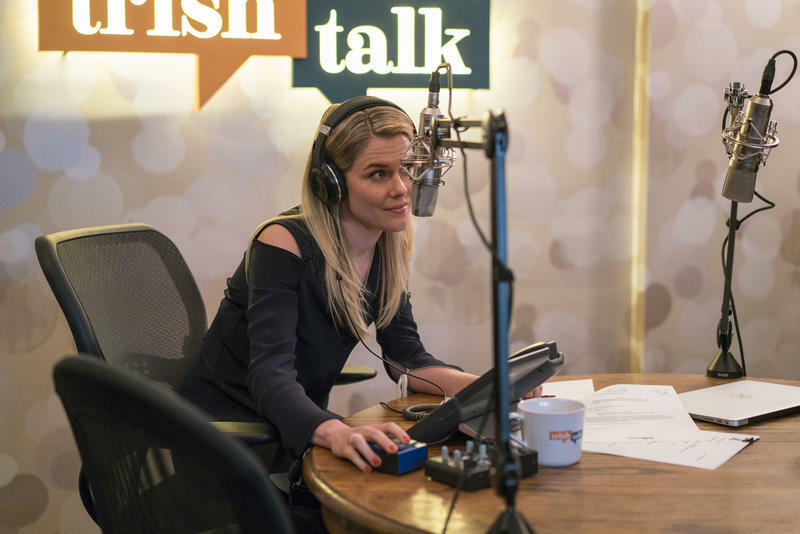 A strong cast with great chemistry keeps the show afloat, but not without a struggle. Spoilers may follow. 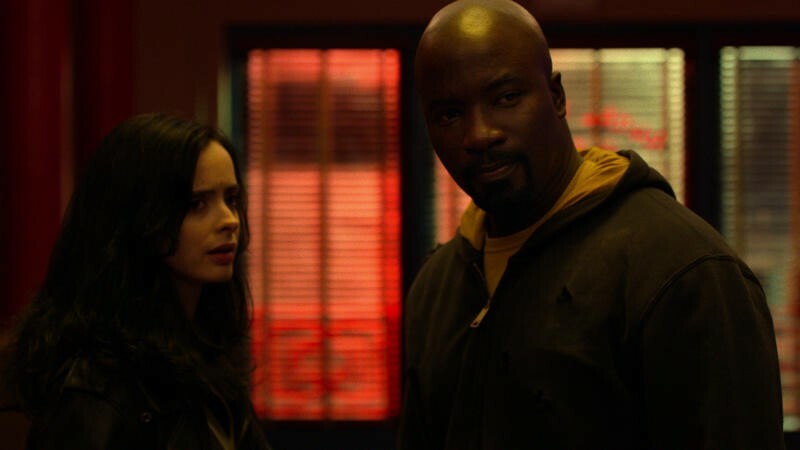 The events of The Defenders revolve around the shadowy organization known as the Hand, and that right there is one of its biggest downfalls. 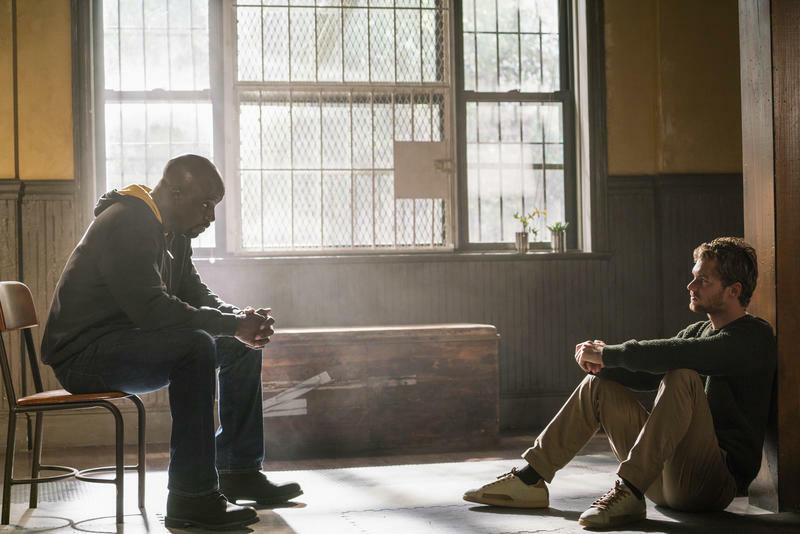 The basic idea pushing the story is that the Hand wants the Iron Fist for some reason, and that puts a lot of the weight of the show on the shoulders of what is by far its weakest character. 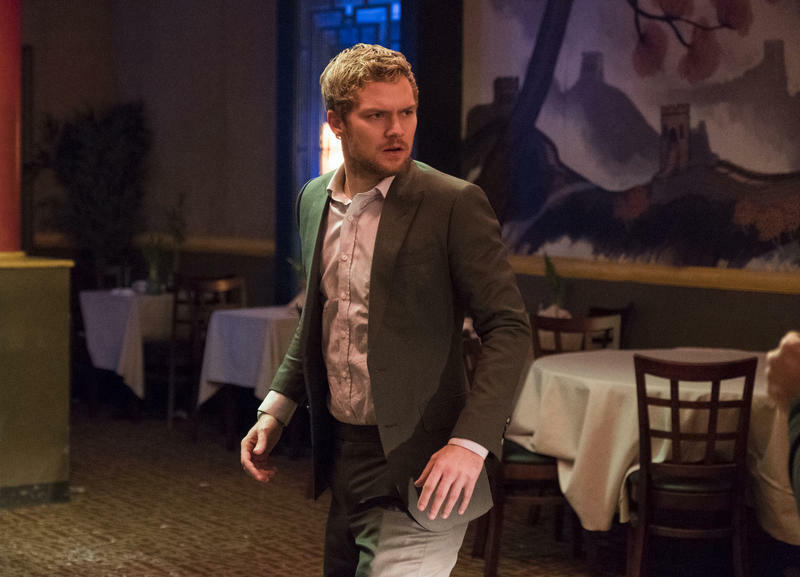 There were a lot of reasons Iron Fist was a tough show to watch. 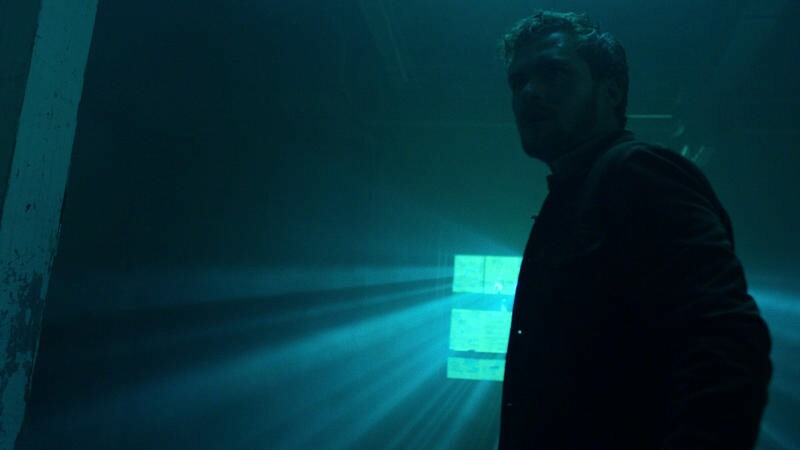 While Finn Jones wasn't the only reason by any means, he wasn't one of its great strengths, either. And yet, the show rests in large part on his shoulders. 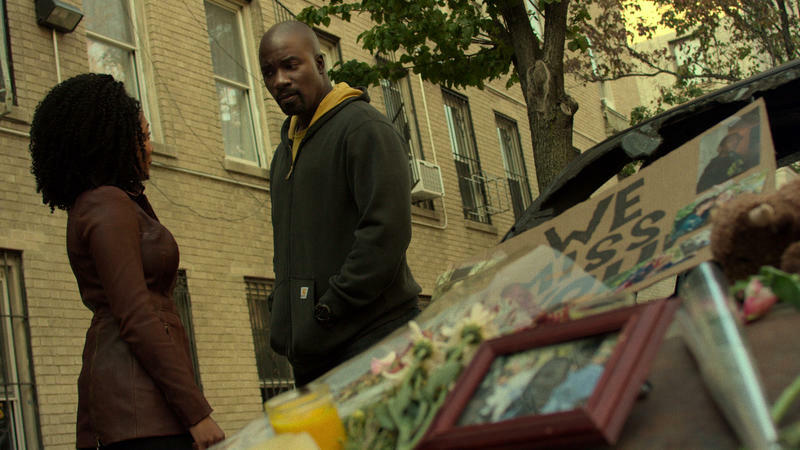 Daredevil takes some of the weight, but Jessica Jones and Luke Cage feel very much like secondary characters in what is meant to be a team show. 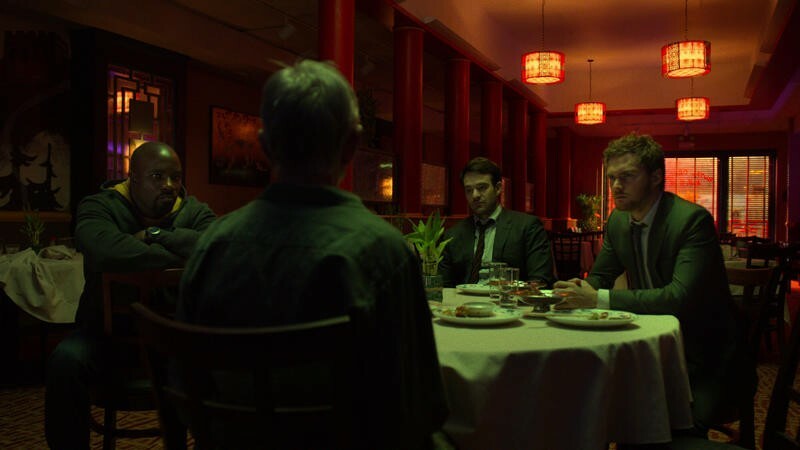 Daredevil and Iron Fist – Matt Murdock and Danny Rand – spend a lot of time agonizing over destiny and their callings while Jessica and Luke are left to do some straight-man commentary on the goings-on around them. The involvement of the Hand also means the plot goes from serious to silly to convoluted very quickly. For two years, we've been wondering just who the Hand is and what they're up to. 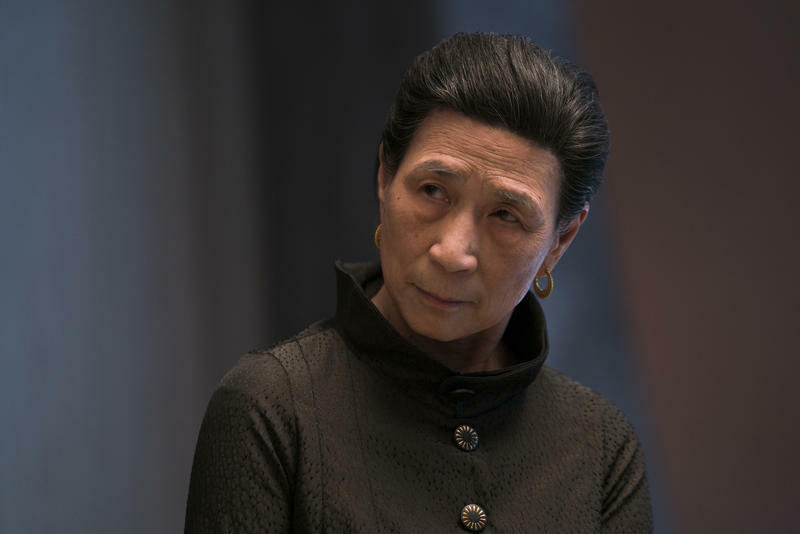 Madame Gao, one of the Marvel Netflix Universe's most consistent villains, was introduced way back in the first season of Daredevil. At that time, the mystery was an intriguing one. 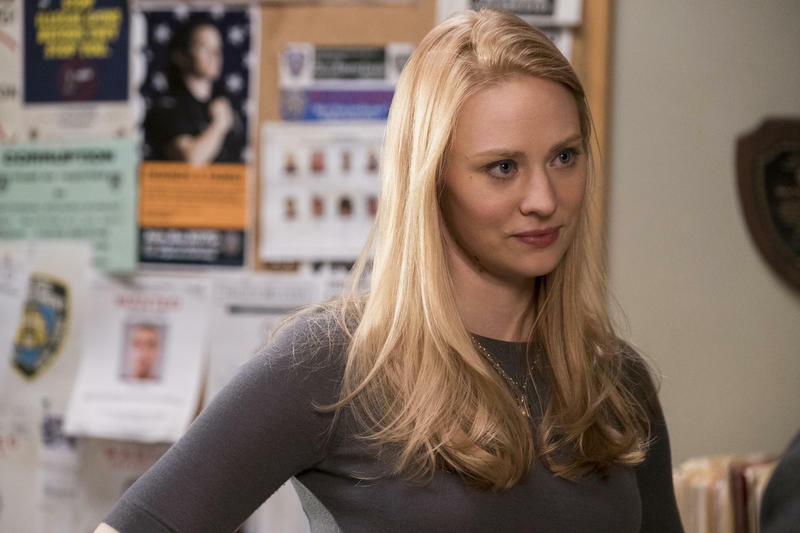 Daredevil's second season gave us just enough to work with to keep the mystery going. 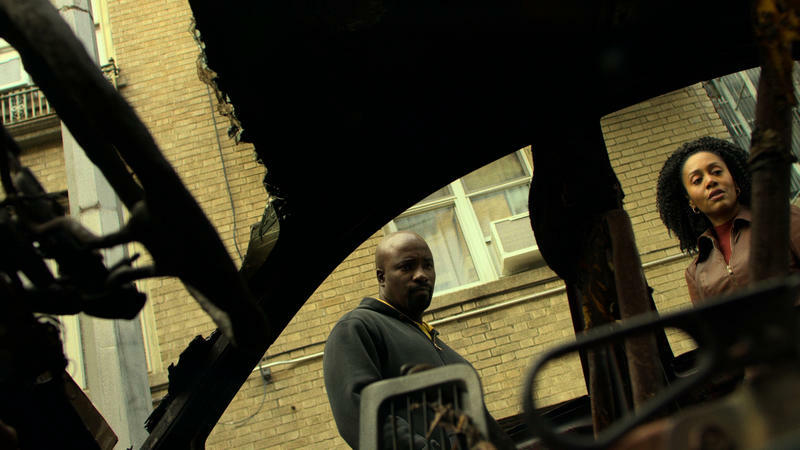 Iron Fist kicked things into high gear. As with Danny, a lot of weight rests on the Hand's nefarious plot being a big, exciting unveiling. A satisfying twist that leaves us reeling. Instead, what we end up with a cookie-cutter plot about a cookie-cutter organization populated mostly by cookie-cutter villains. Once we do know what the Hand is up to, it's a huge letdown. It's not even that it's bad – it's just so basic. 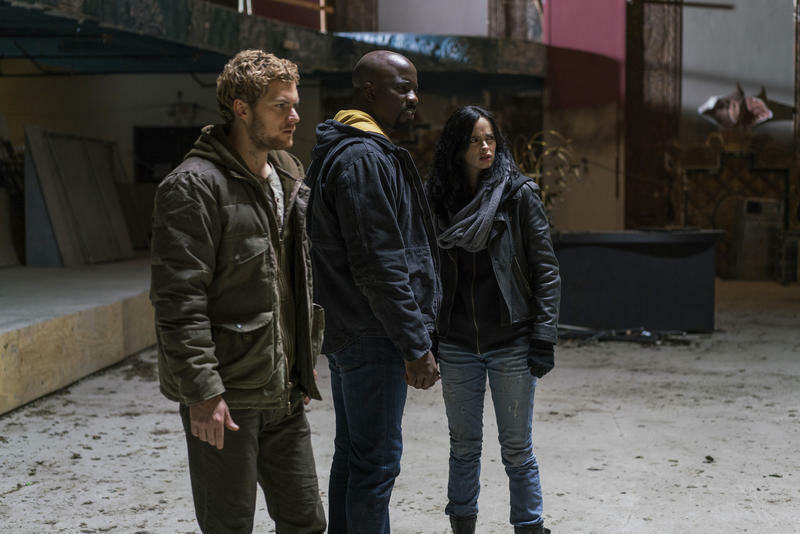 For a group of superheroes, there's not a lot of doing going on in The Defenders. As I mentioned before, Luke and Jessica are the odd ones out in this story. Matt has been told of the hand by his mentor Stick, while Danny grew up in the monastery in K'un-Lun being told about them endlessly. 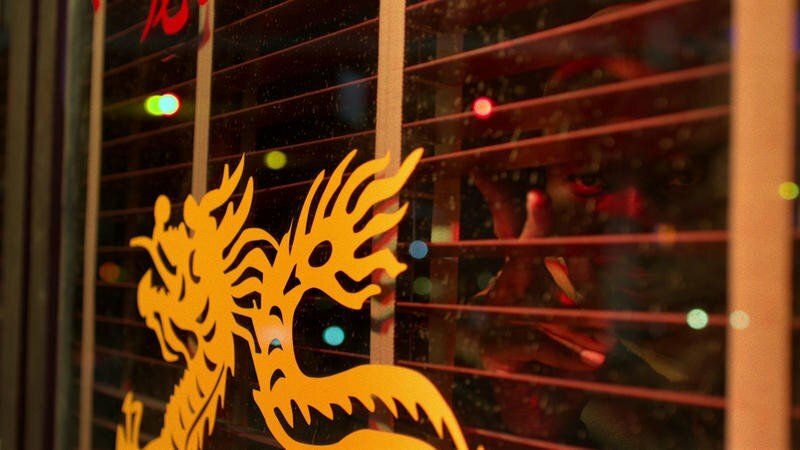 I was wishing during Iron Fist that we'd seen more of of K'un-Lun, but now I wonder if it wasn't a really boring mystical land. 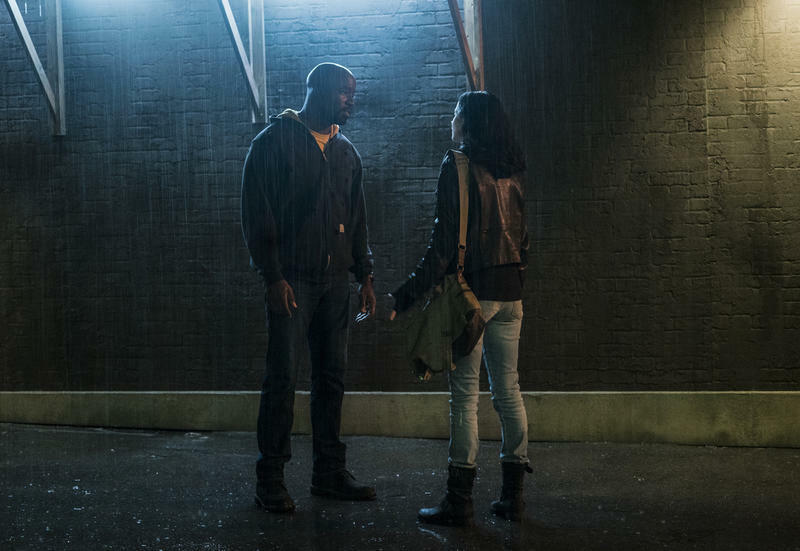 For Luke and Jessica, there's a ton of time spent being caught up on the story – story we already know – and not believing things despite the facts that both of them have literal super-strength and their planet was invaded by aliens just a few years back. Even after they're caught up, there's a ton of time spent waiting. Waiting for things to happen, waiting for people to show up. Waiting in a warehouse (a really boring warehouse), waiting at Danny's dojo, waiting at the police station. 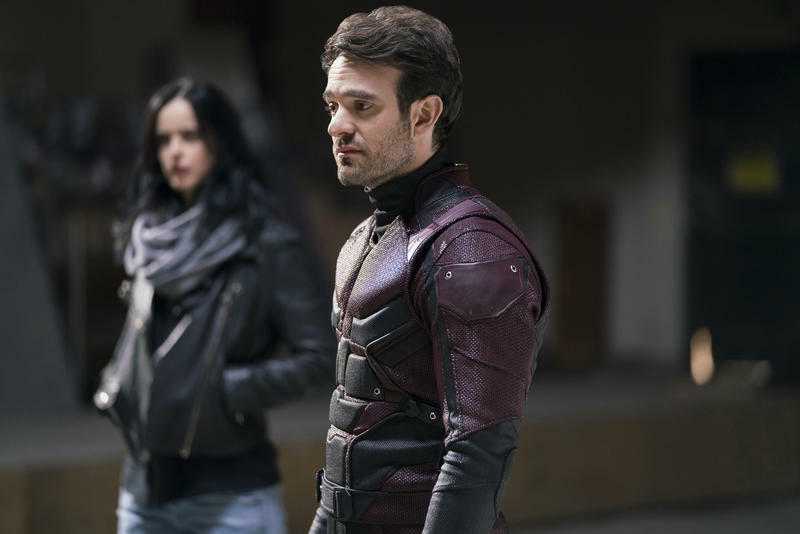 For the wealth of main characters, villains, supporting characters, and settings, all well developed in previous seasons of these characters shows, the collected show doesn't do much with them. We'll occasionally get two characters from two different shows interacting, but it never amounts to much. 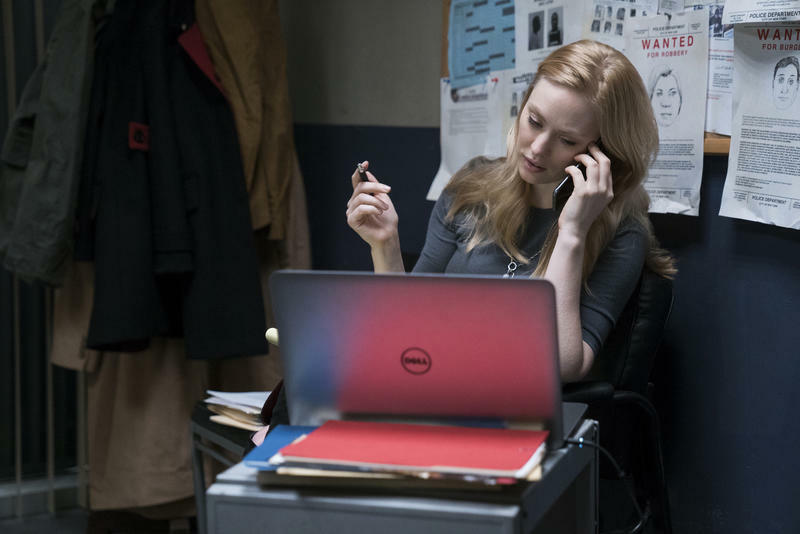 It's like an elbow in the ribs from the writers saying, "hey, remember that character?" 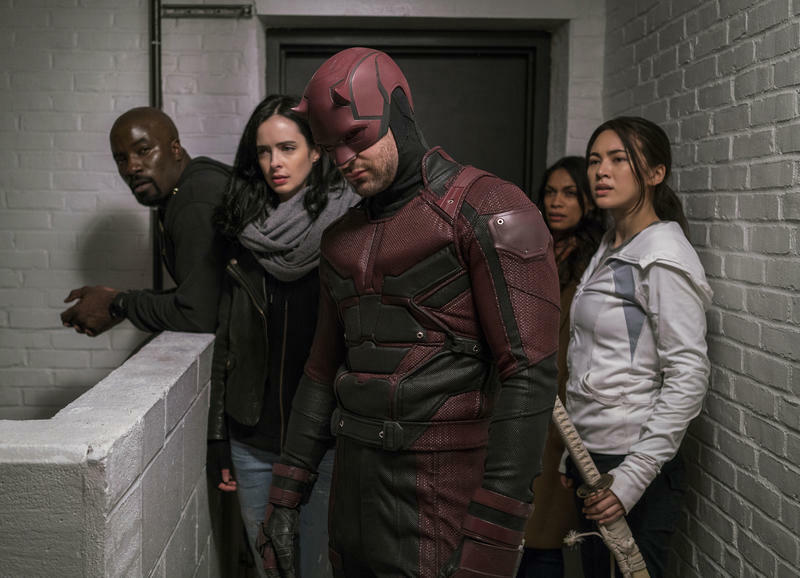 If there's one hallmark of a Marvel Netflix show, it's the "hallway fight." We've had one in just about every season so far. 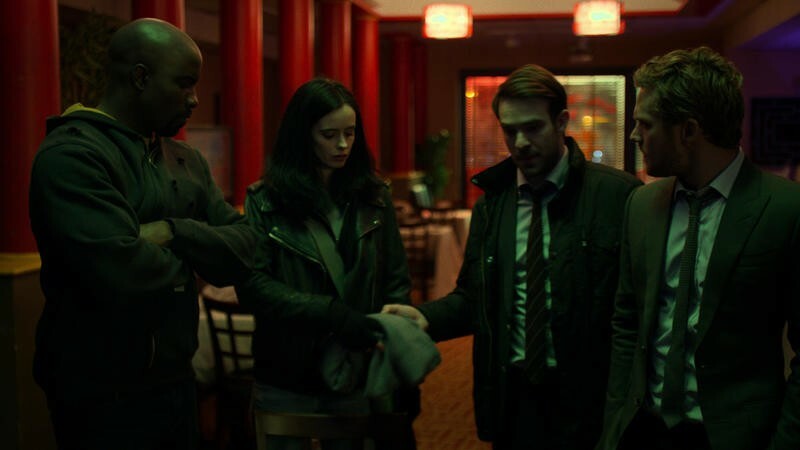 In this, Defenders does not disappoint. 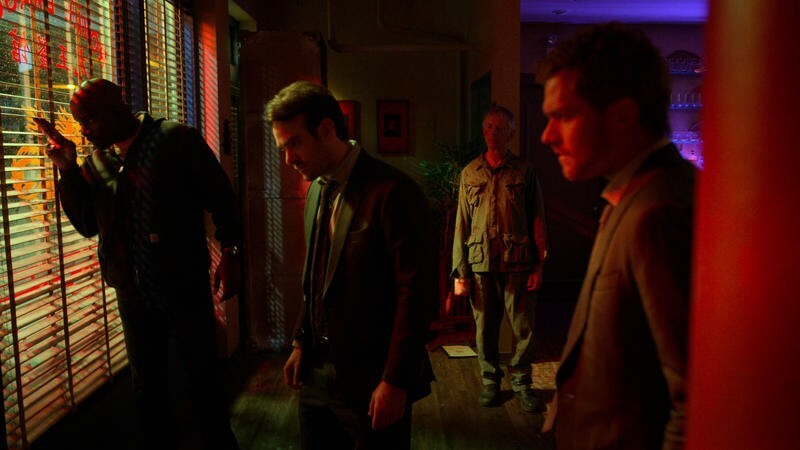 Toward the halfway point of the eight-episode show, the four members of the team end up, independently, at the same building at the same time, tracking down different leads. Here, we get out first look at the group in action, and it's stellar. It's one of the few fist-pumping moments of the show. The chemistry between the four actors/characters is immediate here, and the fight choreography is great. Luke walks in on Danny being in over his head, followed by a gang of suited men with machine guns. Danny dives behind Luke knowing he's bulletproof, and it's one of those heroes-back-to-back moments that are, for some reason, always satisfying. 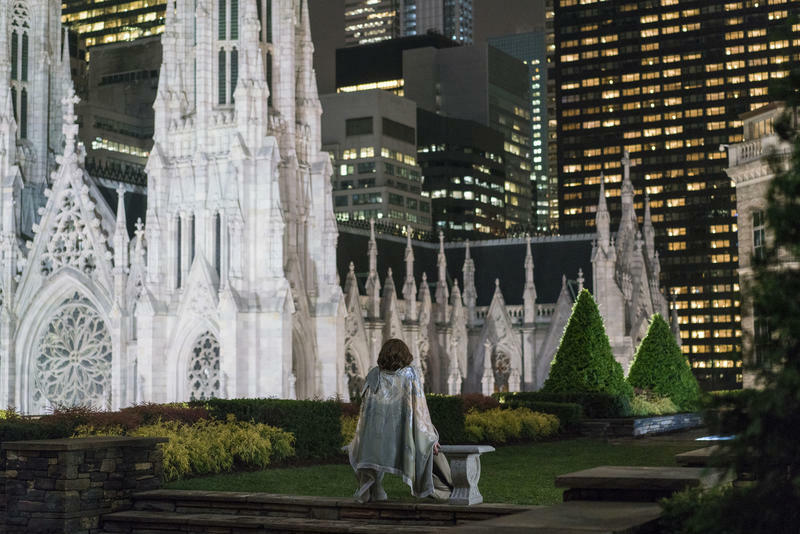 Meanwhile, Daredevil is leaping off walls and fighting as acrobatically as you'd hope and Jessica is just tired of everyone's crap. 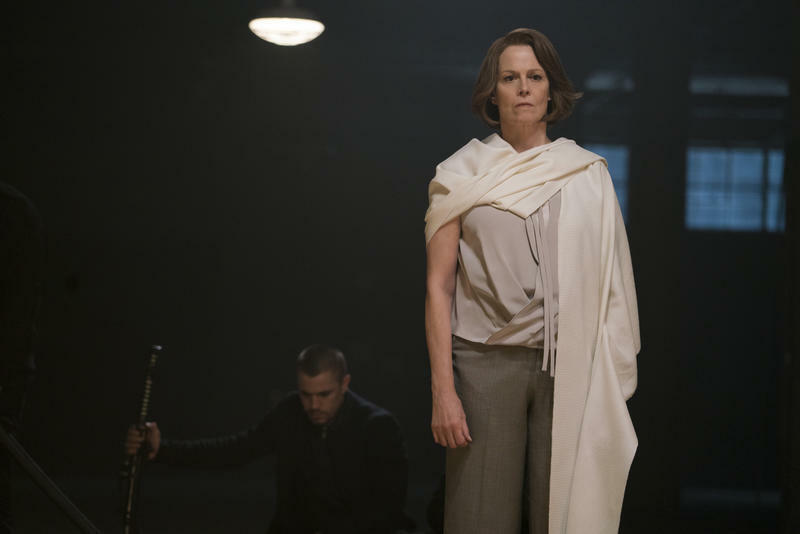 There are great moments where you see characters act like we expect in a new situation with new variables, and it feels like the fight choreographers understand the characters better than anyone else on the back end of the show does. There are some other fights – other solid ones, too – but they never quite live up to this one. But they do highlight one of the biggest problems with the MNU and superhero shows in general. 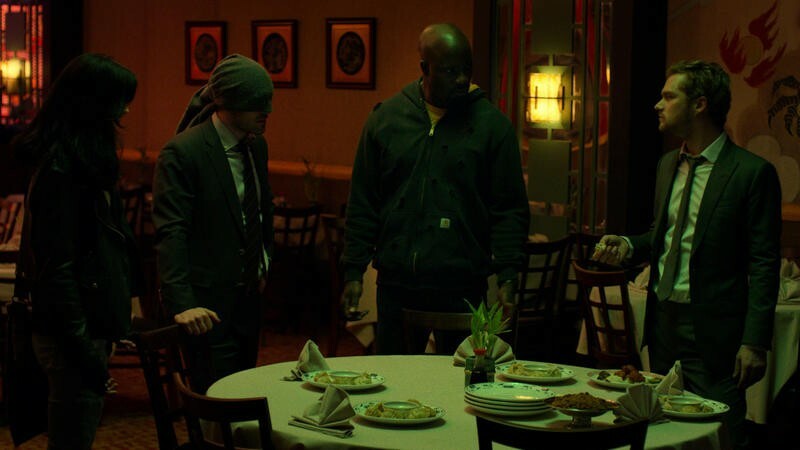 The MNU started strong with Daredevil. It took its time getting him into a superhero costume, but it started with him in a mask. From there, it's been downhill. 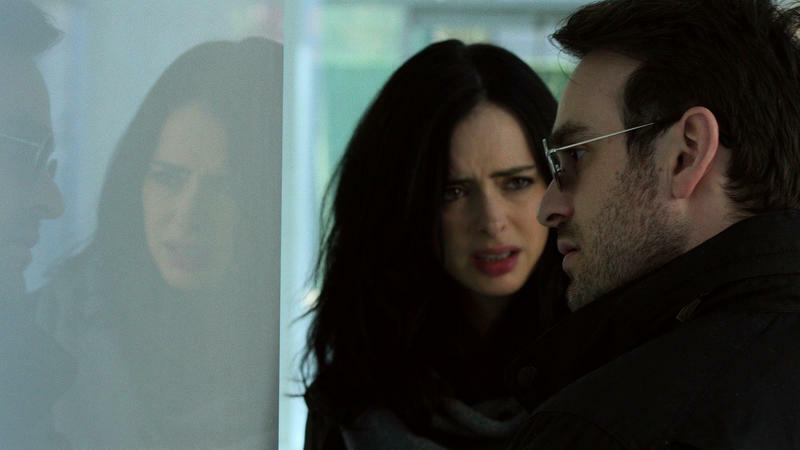 Now, Jessica Jones and Luke Cage don't wear masks, and I wouldn't expect them to. Everything we've learned about the two of them says that they wouldn't even think to put masks on. But what about Danny? Not only does him not wearing a mask not make sense for the character, it hurts those fight scenes. Jessica and Luke are salt of the earth types. Luke is a stand-up guy who punches hard, and Jessica is the last person you want to piss off. 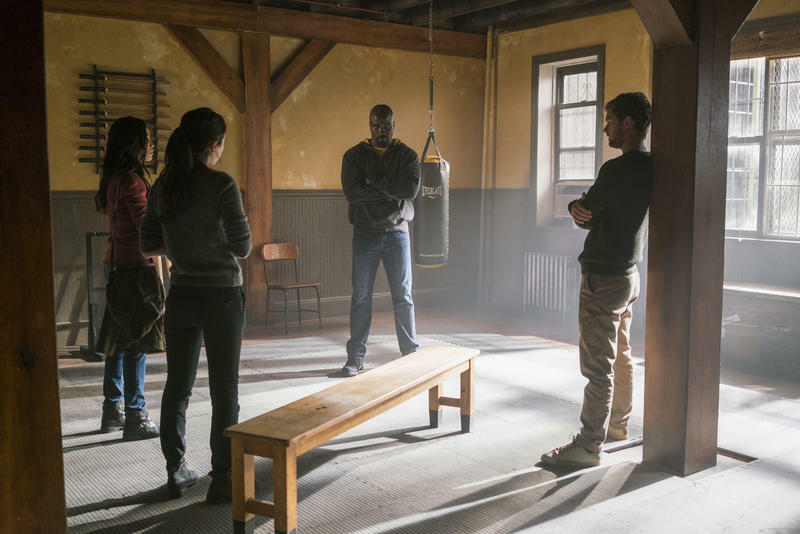 They move and punch simply, and that's perfect for actors willing to take some action training with some assistance from special effects. 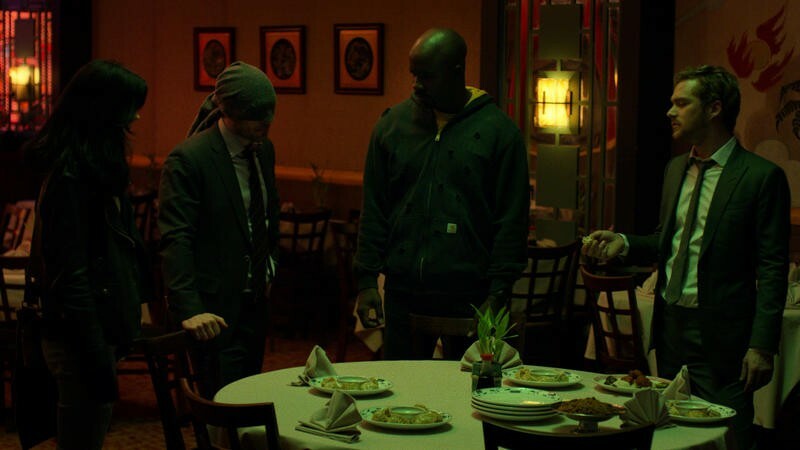 But Daredevil and Iron Fist are martial arts masters. 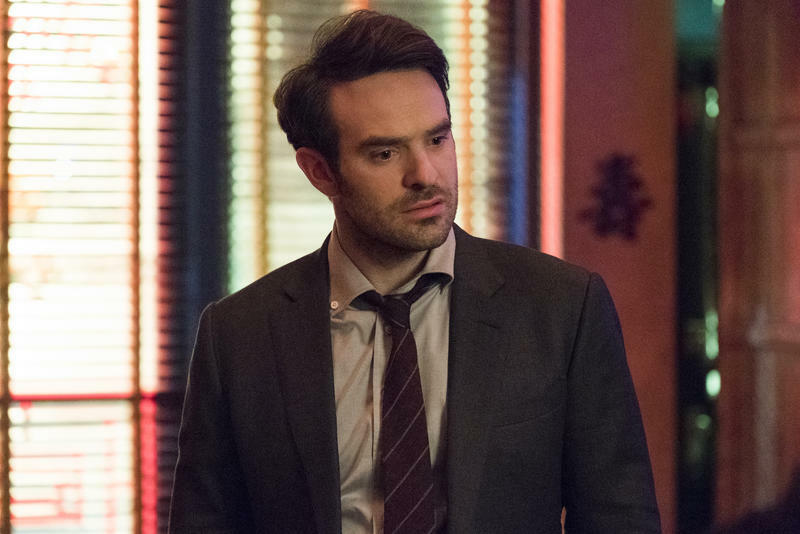 Stick says at one point that Matt is one of the most gifted martial artists he's ever seen, and it shows whenever Daredevil gets into a fight. 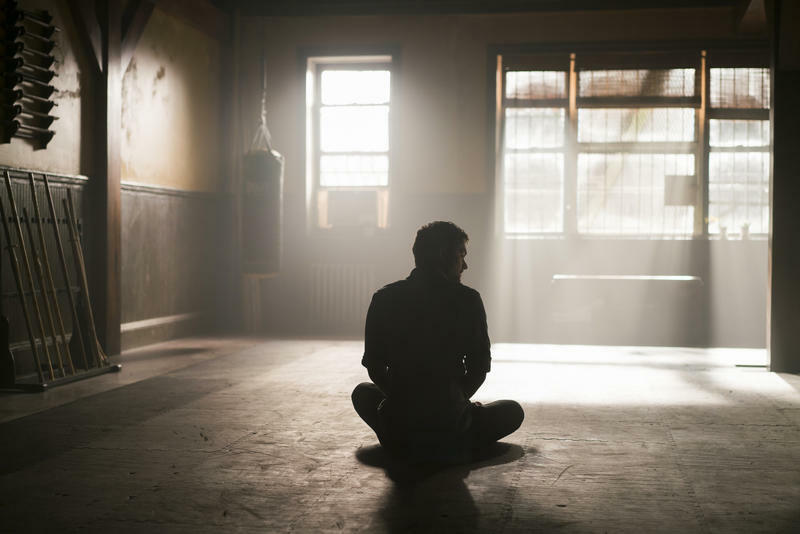 Danny is the immortal Iron Fist, and he's a martial arts master. But for some reason, the showrunners absolutely refuse to put him in any kind of mask at all. 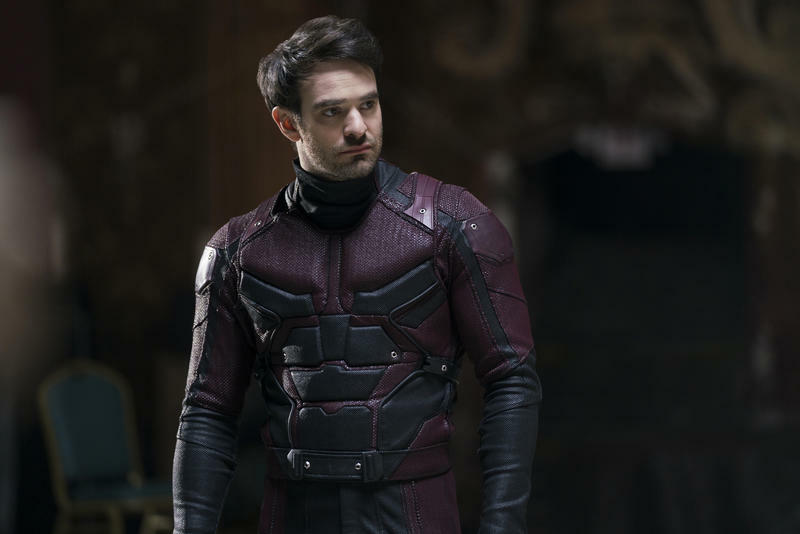 So that means that fight scenes where actor Charlie Cox is replaced by a stunt double, Finn Jones is still Finn Jones. 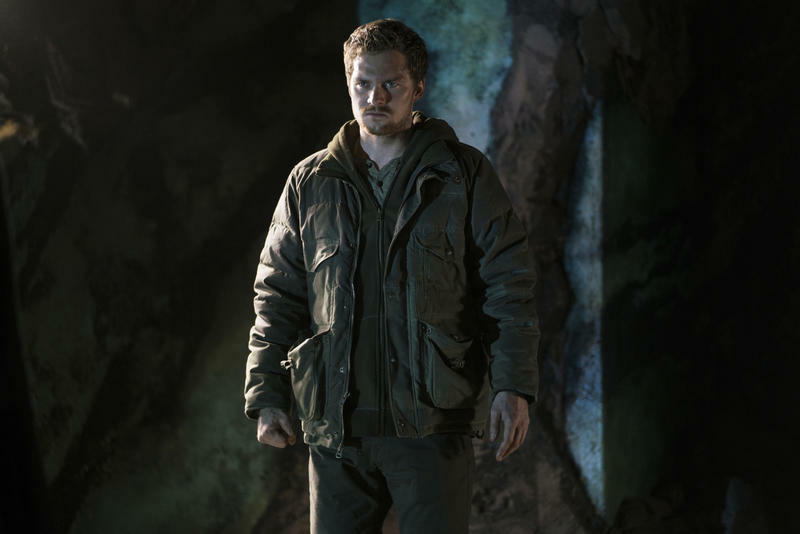 So we have a skilled martial artist portraying Daredevil, and Finn Jones portraying what is ostensibly a guy who has done nothing but train to fight for the last 15 years. Putting Danny in a mask would make more sense than putting Matt in one. Matt's a lawyer for people who can't afford lawyers. He's not what we would call "famous." 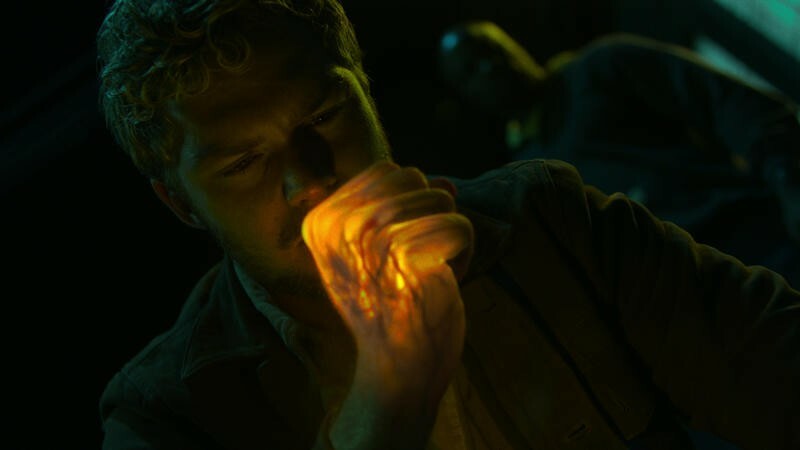 Danny Rand, on the other hand, is a billionaire who was missing for, again, 15 years. Everyone in New York knows his face. Everyone. So there has to be some other reason. Maybe polls show that regular people are scared of superhero masks. Maybe the studios want to show off all the attractive people they've cast in their shows. The CW has this problem too. 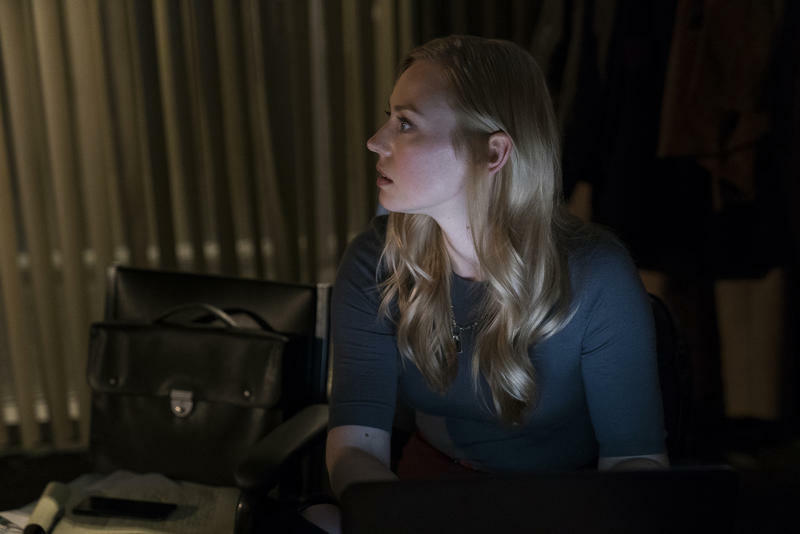 The Flash and Reverse Flash will take off their masks at a moment's notice, regardless of who is around, almost like they're afraid people will stop watching. This, more than almost anything here, has to change. 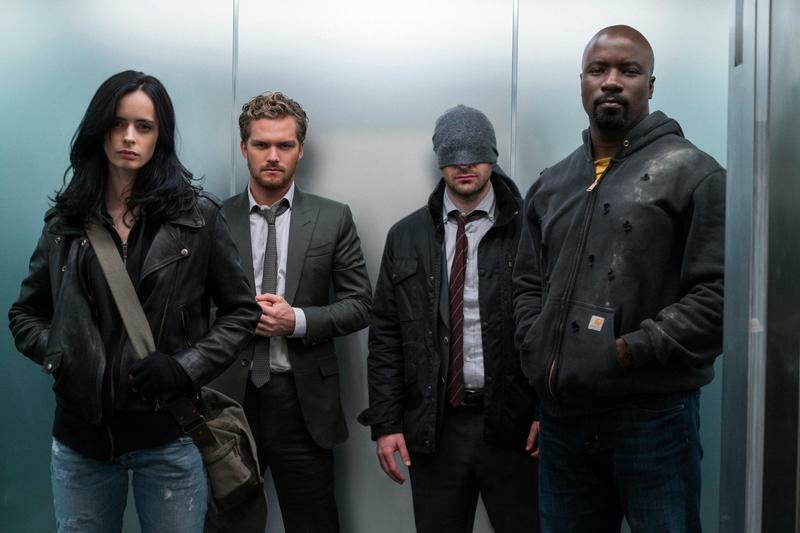 Marvel has to embrace its comic book roots – which sounds silly to say, considering. Costuming up their costumable characters will set them free. As I mentioned before, this show has a LOT of characters. Some of them are used really well, while others are left with little to work with. 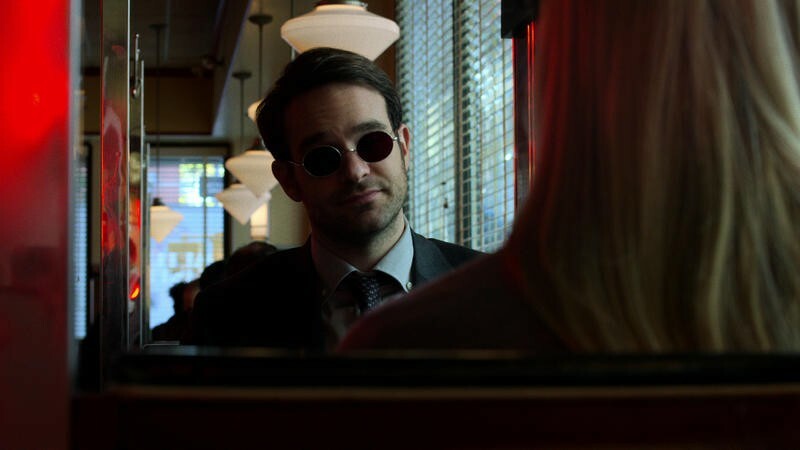 Daredevil/Matt Murdock gets the brunt of the "character" moments. 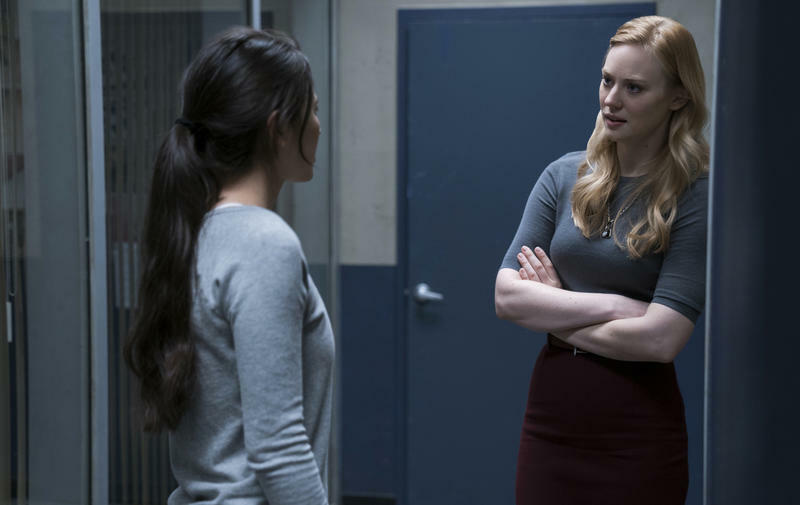 Elektra, his love interest in Daredevil season 2, figures heavily into the plot of Defenders, and Matt gets to spend a bunch of time trying to figure out what's going on, or interacting with Elektra, or talking about Elektra. 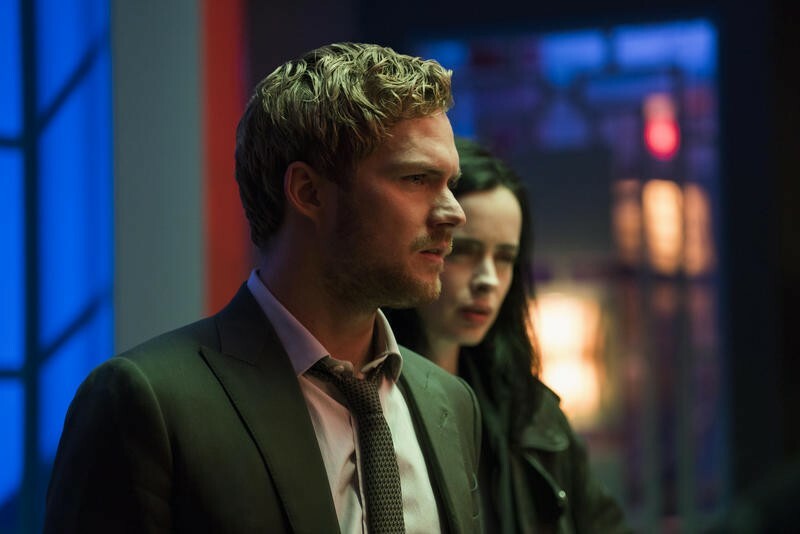 While the story depends heavily on the Iron Fist and his power, he's somewhat of a MacGuffin – meaning that he's there to move the plot forward. 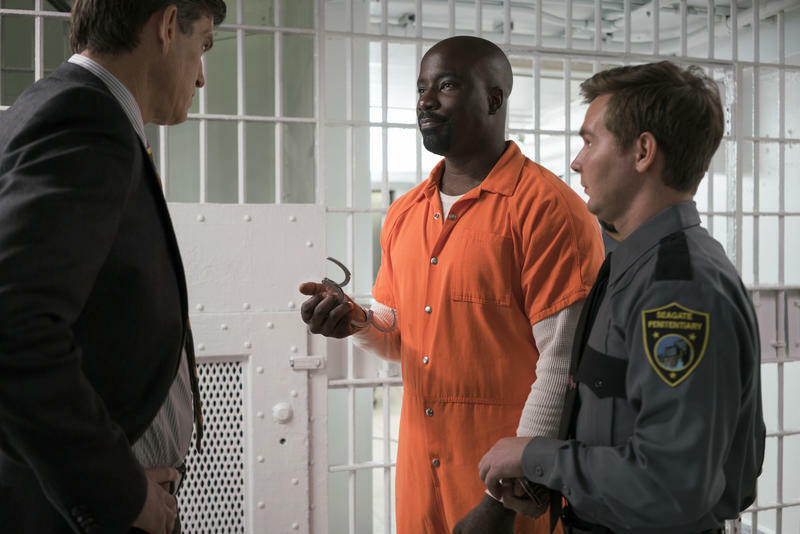 The character's petulant and super-serious nature is balanced out somewhat by Luke Cage grounding him, and he's not quite as miserable to be around as he was in his own show. 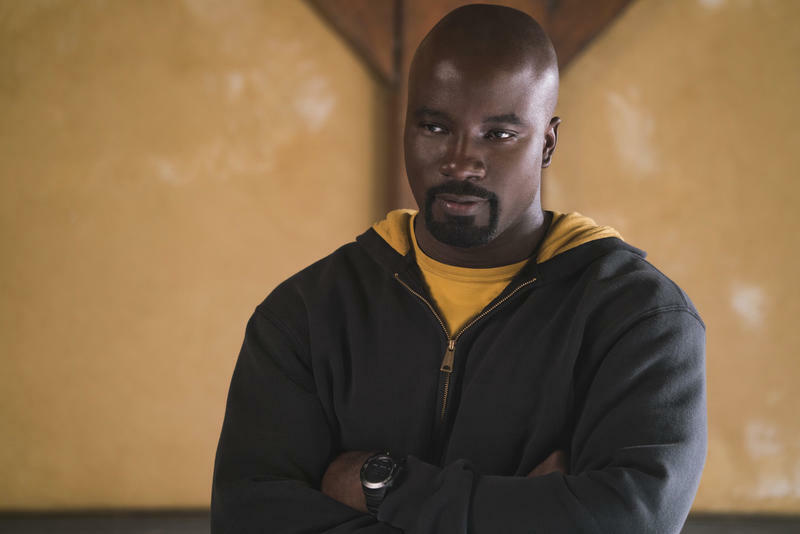 But he feels like the Defenders' little brother – he spends much of his time doing the equivalent of saying "but you guys!" or playing into the Hand's hands. And that's another thing. While Luke and Jessica get a pass for not understanding all of this stuff right away, Danny has supposedly been training for over half his life to handle these situations, but he's constantly played off as the least experienced of the group, and he's constantly getting tricked into doing dumb stuff or running headlong into situations. He can be immature without being constantly written as being dumb, but that's not the case here. Luke, then, is relegated mostly to being a babysitter for Danny and looking confused. It's a sharp turn from the determined hero who was such a badass that Method Man rapped about him on the radio. Jessica is similarly underused. She gets most of the funniest lines, but she's mostly there to react to Danny and Matt's collective issues. 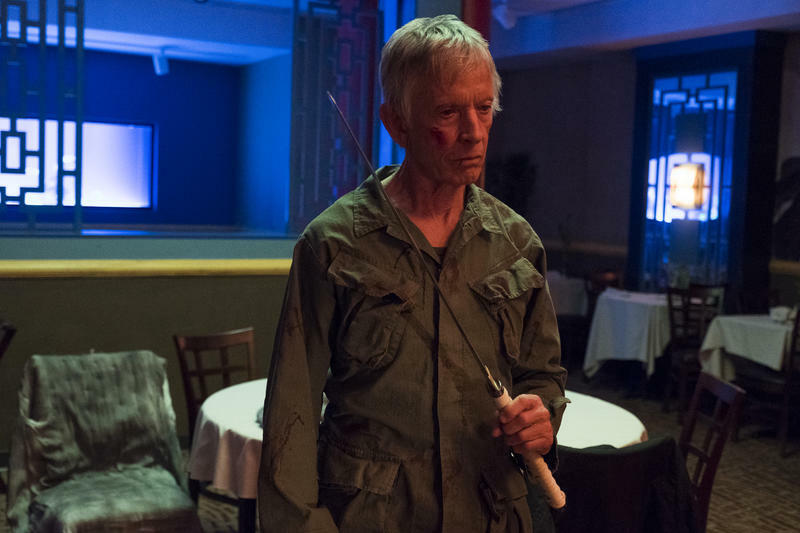 Scott Glenn returns as Stick, and as usual steals just about every scene he's in. Glenn is a seriously badass dude in real life, and somehow that feeds over into his performance, and he's consistently compelling. Wai Ching Ho as Madame Gao is similarly compelling. 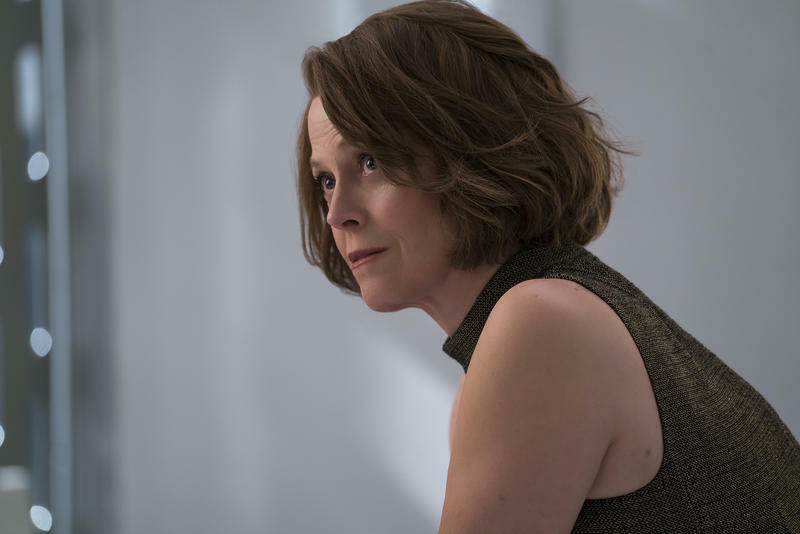 Perhaps the greatest crime of The Defenders, though, is how poorly the show makes use of Sigourney Weaver. She plays a woman so intense that even the fearsome Madame Gao bows to her, but we're never given any real evidence for this. The character they wrote for her is perhaps the most cookie-cutter of the cookie cutters. She likes fancy classical music and has very fine taste in food, and she dresses very fancy all the time. 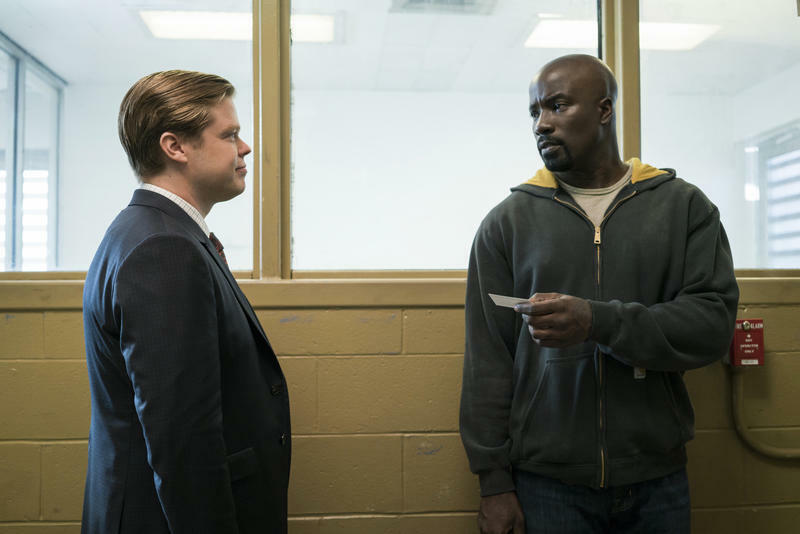 If you think back to Wilson Fisk in Daredevil, he did all these things, too, but the writers did them all better with him. 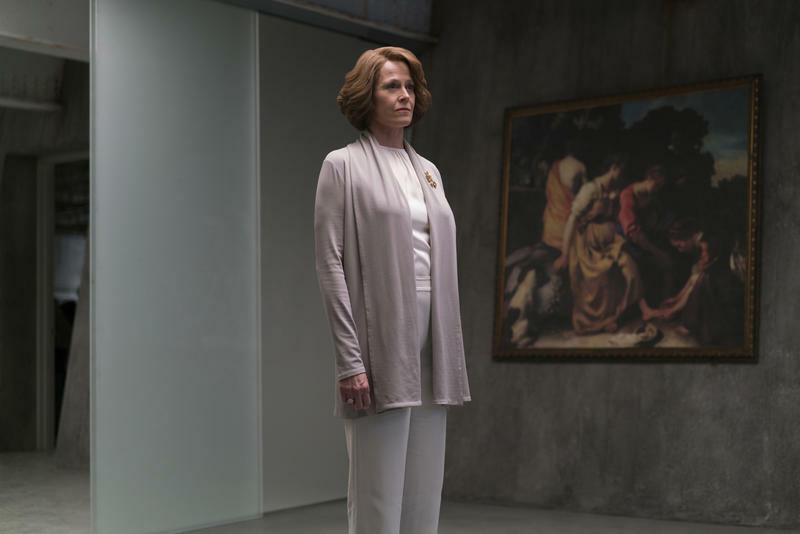 Instead of just saying "look, he likes high art, that's a thing villains do," they showed us how his focus on fine art was part of his growth from a low-class kid and abuse victim into a powerful and dangerous businessman. His appreciation of fine food was integrated into his overtures to his girlfriend Vanessa to show the creepy intensity of his love for her. Here, we're just told that Weaver's character likes those things, and it's just because villains like those things. 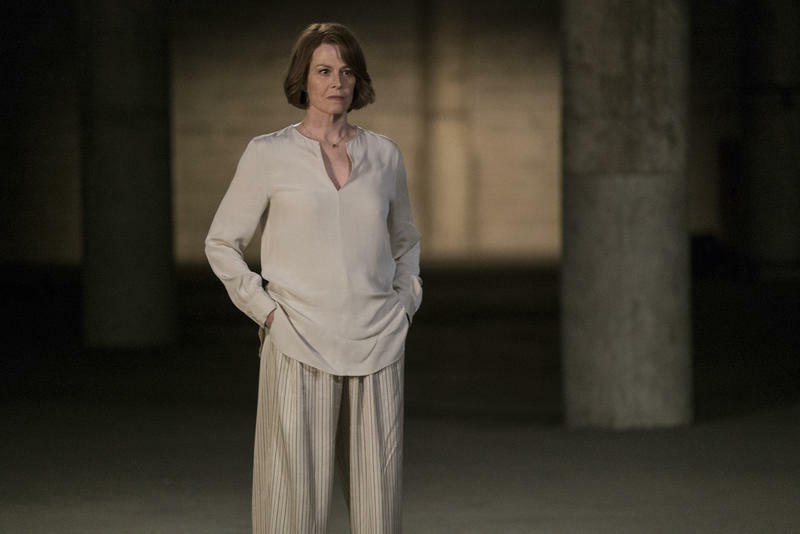 If you really want to scrape the bottom of the barrel for compliments for Weaver's character, she's easily the best-dressed character in the MNU. That Weaver is who she is manages to rescue this otherwise terrible character. 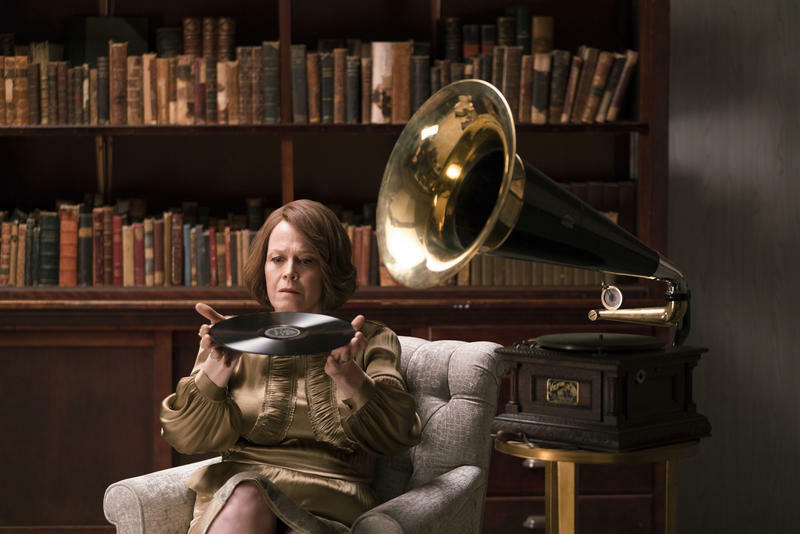 The show plays at giving us more about her, but we never get more than hints. Jessica digs up scraps of interesting history, and then they never really reference them again. We learn she has some medical issues, but we never really get anywhere with that, either. 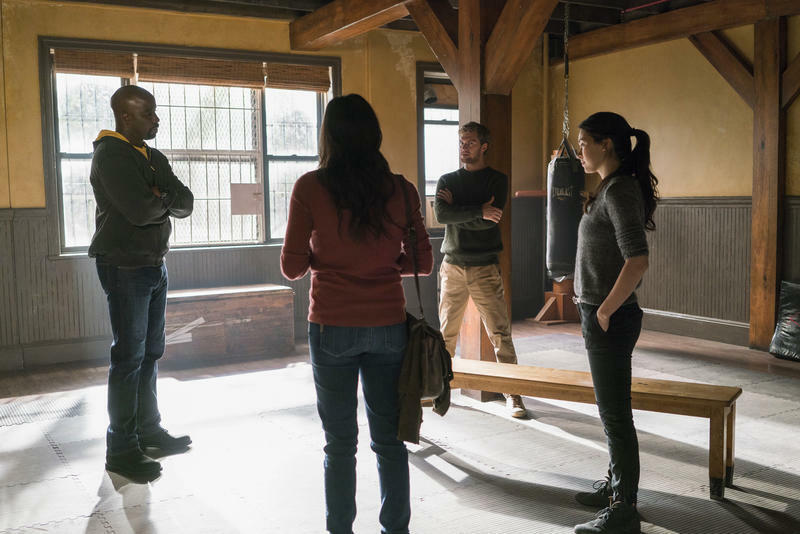 Claire Temple, Colleen Wing, and Misty Knight are all in fine form, though I felt like they spent most of their time talking and waiting. 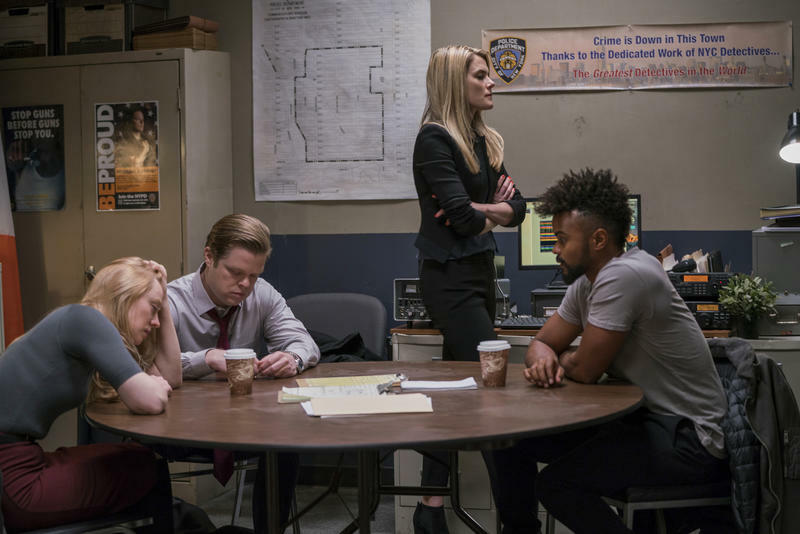 Supporting characters like Trish Walker, Foggy and Karen are there mostly just to knit their brows and make faces about the situation at hand. The directors make a good attempt at doing some good visual storytelling toward the beginning of the show. At first, each character's scene are color coded. 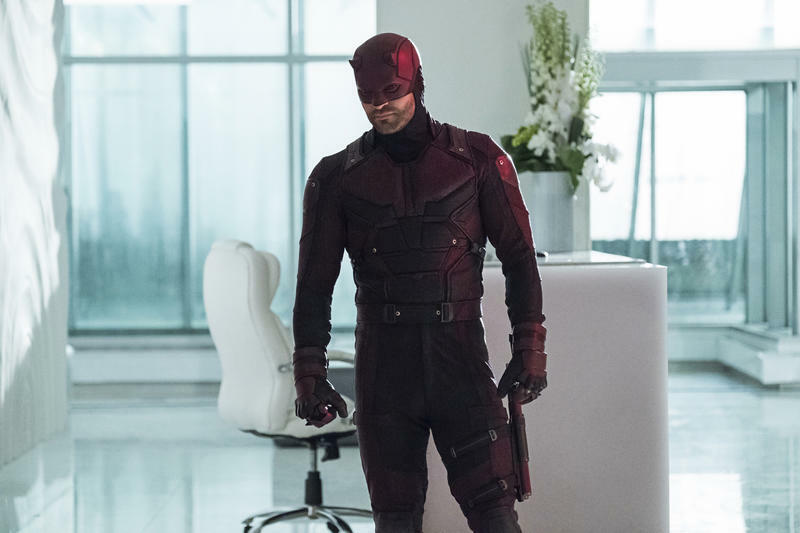 There's a moment in the show where the scene shifts from Jessica's steely purples to Daredevil costuming up for the first time, and the scene goes full red, and it's gorgeous. 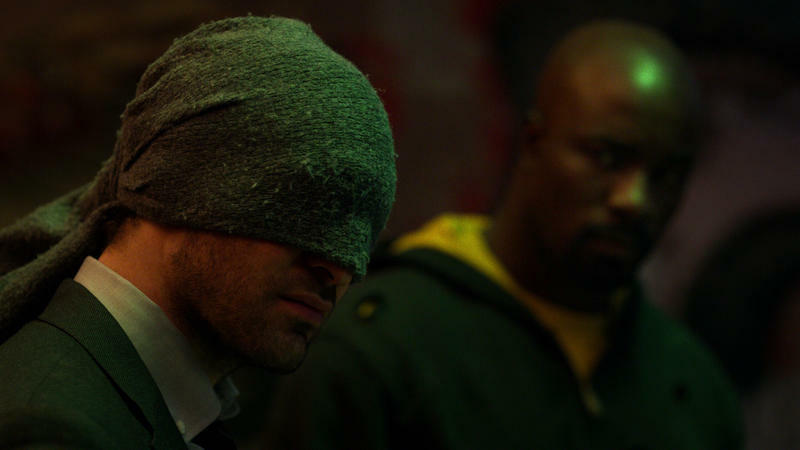 When Daredevil is on screen, we're watching a comic book show again, and it's great. One complaint I do have, though, was the use of music in this. Every time the show cut to Luke for the first few episodes, we got a hip-hop soundtrack. Like they thought we might forget the tone of his series if they didn't throw that in there. The cues die off once the group is together, though there's one super-weird hip-hop cue in the last fight that feels totally out of place. 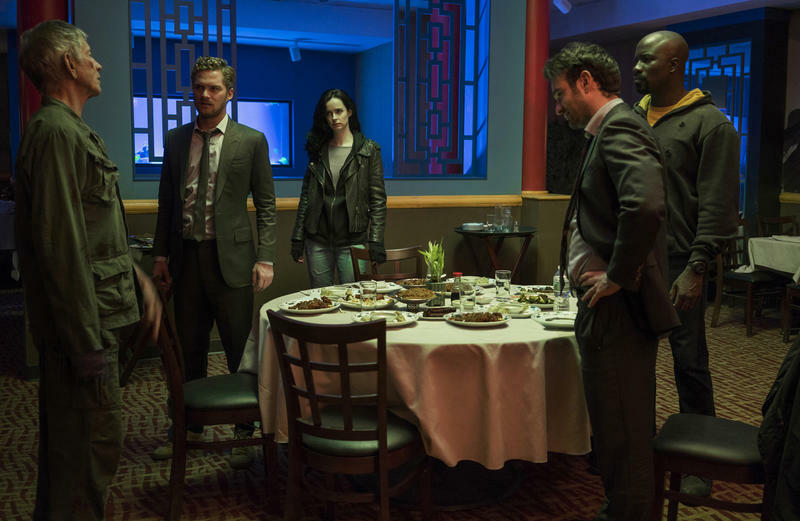 Defenders isn't a bad show. It's just not a great one. 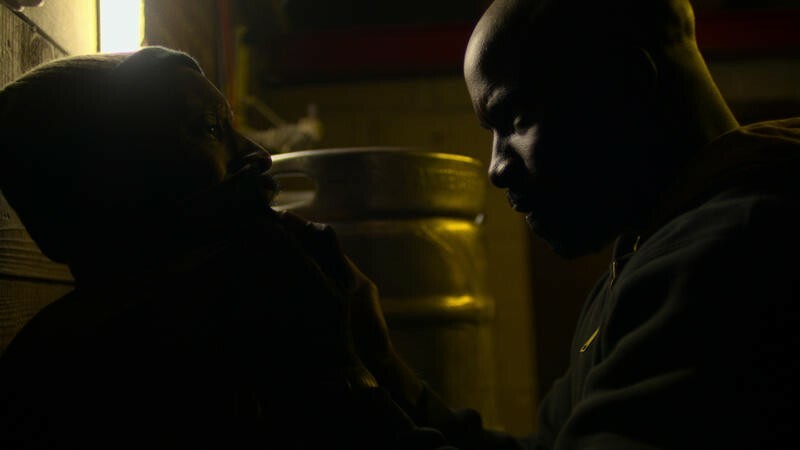 Since about midway through Luke Cage, it seems like the Marvel Netflix Universe has been going further and further off the rails, picking people who don't understand the characters or the fans to run the shows. After two years of waiting, we got a story about a boring villain with a boring plan (that could've been interesting if they'd taken it further), interacting with heroes that don't do much. 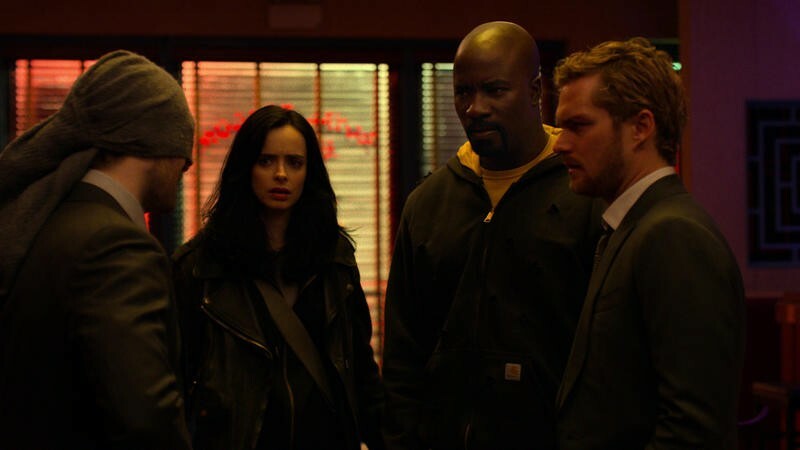 If we treat the MNU like the MCU, then it seems like Defenders is the end of MNU Phase 1. It sets up some huge stuff, and leaves a couple characters in the wind that could come back later. It does leave me looking forward to the next seasons of these characters. I'm hoping that, now that they've teamed up, they'll start making cameos in each others' shows. 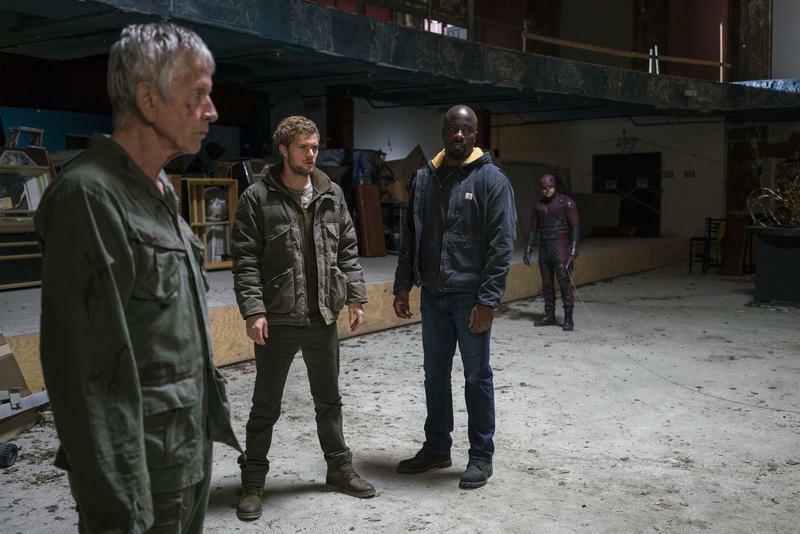 I'd love to see Luke and Danny each get a slightly shorter season and then team up for the duo's classic Heroes for Hire supergroup. 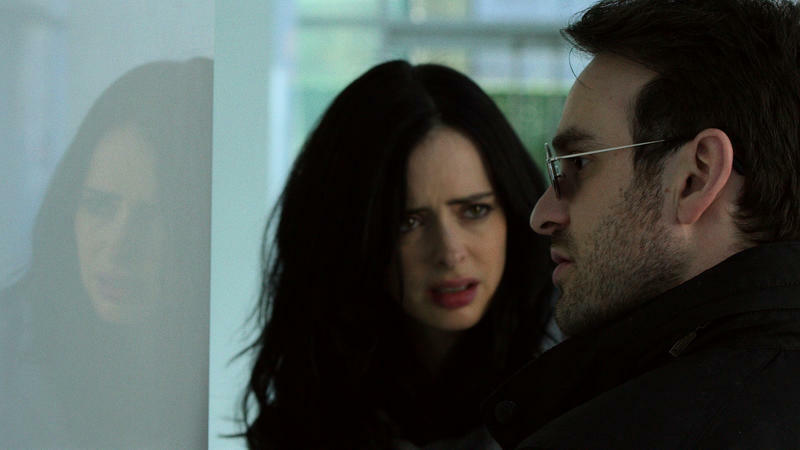 I'd love to see Matt and Jessica interact some more. What we see of them this time around sets them up to be good friends, and there's a lot to build on there. Marvel, more than anything, needs to embrace the fact that these are comics. Until they do that, though, they're going to have a hard time climbing out of the hole they've dug.